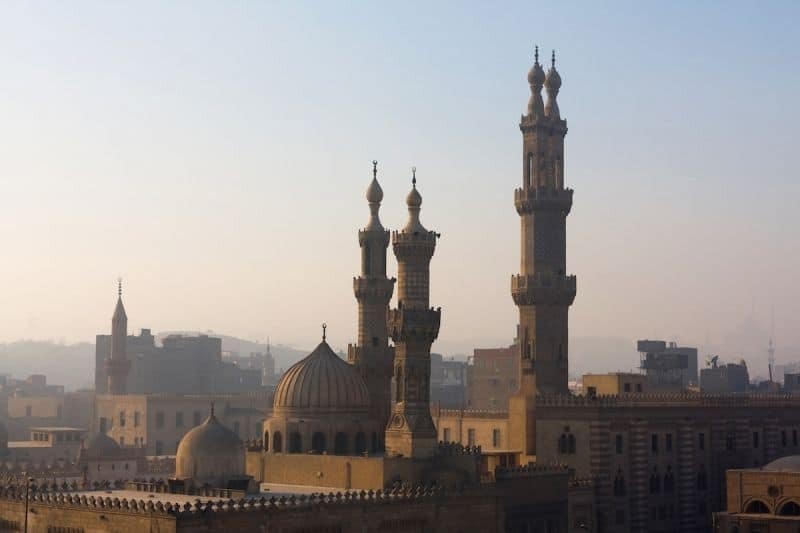 Want to know the best tips for exploring the fascinating Egyptian city of Cairo? Many people don’t get beyond using it as a base to explore the pyramids. But there must be more to this buzzing metropolis, and who better to ask than the locals. 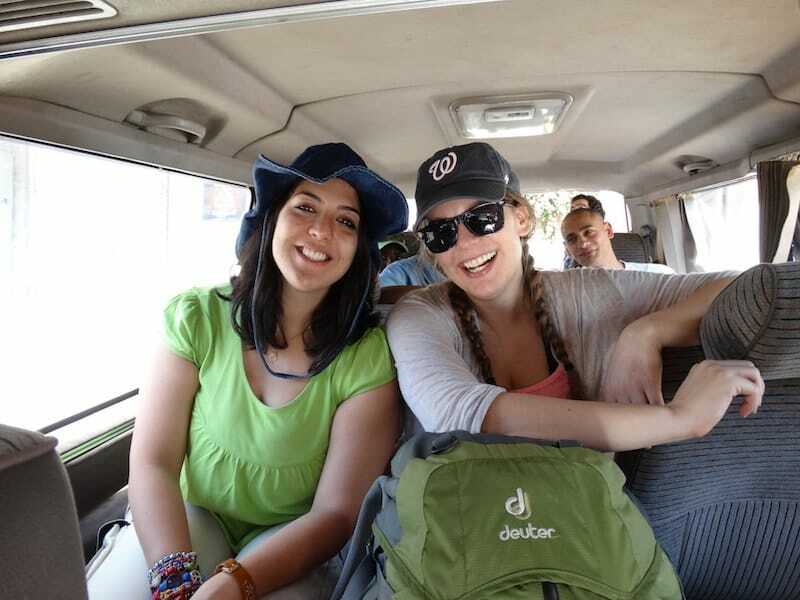 Passainte and Christina are the duo behind travel blog Why Not Egypt; a starting point for anyone looking for travel tips, guides, and inspiration for travelling around Egypt. Read on as they take us to discover a city of whirling dervishes, black tea, islands in the Nile, and a lot of delicious-sounding carbs. We both live in Cairo. Passainte is a native Egyptian and has lived in Cairo her whole life. Christina is an American who first came to Egypt seven years ago as part of her Master’s degree program, then married an Egyptian and is now based in Cairo, too. Tell us about your blog. What inspired you to start? We met in 2013 as the only two ladies in a group of five attempting to hike to the top of Africa’s highest peak, Mount Kilimanjaro. Though strangers at first, we quickly bonded over a shared love of adventure and breathtaking scenery. Three years later, we met one day for lunch. Passainte was complaining to Christina about feeling tortured by a corporate job that forced her to write travel articles whilst stuck in an office instead of travelling and enjoying the world. Christina admitted she too wished she was putting more of her time and energy into something she felt passionate about. Passainte told Christina she had begun working on a blog about Egypt and was looking for someone ready to be her partner. Before Passainte could finish her sentence, Christina had agreed. Lunch was left untouched as the first, impromptu planning session began immediately. And so ‘Why Not Egpyt’ was born! What will readers find on Why Not Egypt? We recognized how challenging it can be to plan travel in Egypt, given the lack of clear information that often has even locals spinning in circles. Through Christina’s experiences as an expat who now calls Egypt home, and Passainte’s as a true travelholic, we figured we have two great, different yet complementary perspectives that could really shine a light on all the best Egypt has to offer. We know that people have countless misconceptions about Egypt and Egyptians, and we are here to prove them wrong. We want to educate people about Egypt and portray a more realistic image than what is typically shown in the media. We hope to promote tourism & stress on the fact that Egypt is safe; it suffers from terrorism as much as the whole world does. We want to help foreigners and locals equally get the best out of their time in Egypt. They will find insightful, unbiased, no-frills information about Egypt from the perspective of locals. We both understand a typical traveller’s concerns & how challenging it can be to find accurate info. Christina, once a stranger to the country, really knows what goes on people’s minds when they consider a trip to Egypt, what they might be worried or concerned about, and she can share how she got over some of those same concerns. Passainte, throughout her four years’ experience of travel blogging, knows how difficult it really is to find accurate information about Egypt to include in her blog posts. As a proud Egyptian who happens to be a frequent traveller herself, she hears lots of questions about her home country and faces those misconceptions head-on. What do you love most about Cairo? What makes it unique? Cairo is the kind of place where you never know just what you’re going to see or experience next. It keeps you on your toes. I’m visiting for the day, where do we go for coffee/brunch/lunch? Passainte: We’re more of a tea nation so I’ll take you to El-Fishawy in Islamic Cairo to enjoy black tea with fresh mint. For brunch, I will take you to Felfela in Hoda Shaarawy St. it’s always crammed with tourists and locals because their food is genuinely good (try their crunchy falafel, their bessara, and fried eggplants). For a heavy lunch (our cuisine is heavy), I will take you to Kebdet Elprince to eat molokheya (green soup poured over rice), it’s their speciality, rice with fried beef, and grilled livers in a special sauce. If you’re a vegetarian I’ll take you for a koshary (the ultimate carbs mix of rice, pasta, vermicelli, black lentils, chickpeas, fried onions, tomato sauce, and garlic with vinegar dressing), there are plenty of places that serve delicious koshary to name some of my favorite; Cairo Kitchen, Koshary El-Tahrir & Abou Tarek. Christina: Since my day-job is teaching, I crave peace and quiet on my weekends. And as less of a foodie than Passainte, I make my brunch selections based on the perfect kind of atmosphere I’m seeking, rather than the food selection. So I’ll take you to The Platform on the Nile Corniche in Maadi, where we can relax, unplug, and enjoy the stunning view along with our good food and sparkling conversation, lounging at the water’s edge. If we are feeling adventures afterwards, we can take a river cruise on the NileTaxi, or even a felucca sail-boat ride once when we’ve finished eating. If it’s been an especially rough week, and some strooong coffee is in order, we can pop over to the Brazilian Coffee on Maadi’s Road 9 to finish out the afternoon. What’s the best way to get under the skin of Cairo? To get under Cairo’s skin one must walk the streets with the ‘know it all’ kind of attitude that embodies the Cairene spirit; ride the metro or public buses—though admittedly this is not an activity for the faint-of-heart; eat street food from food carts, stalls, or local restaurants; sit and watch the city buzz pass as you smoke a shisha—the local name for the flavored-tobacco water-pipes—at a coffee shop; speak to strangers in street cafes; and make friends with taxi drivers. Better yet . . . eat your way to the heart of Cairo! Egypt is a foodie nation; try to name one single feast where food is not involved! If you’re lucky to be here during the holy month of Ramadan you’ll experience something you’ll never find anywhere else in the world. It’s a truly festive season where kids play with their Ramadan lanterns & sing, and family and friends gatherings are endless—even as a visitor, you’ll find you’ll receive many invitations yourself. The food served is always fresh, well prepared & delicious, special desserts are made, Muslims go to the mosque to do the prayer at night, and afterwards meet again around 10-11 PM to go out for their last meal before break of dawn. After Ramadan has ended, attend the Eid-el-Fitr (feast after Ramadan) where families and sweet-shops prepare special cookies called Kahk to be eaten during the Eid, and people go for the morning prayer then gather up in cafes to celebrate breaking their fast, before going home to gather with the whole family and pay visits to other family members. Another event is the Easter celebration, where kids colour eggs, and locals spend their time in public parks to eat salted fish (named feseekh), herrings, onions, & eggs. Well, the list of celebrations and meals is just endless. What do you miss most about Egypt when you’re not here? The food, and warmth of its people, which is something only Egyptians or those who stayed long enough in Egypt will relate to. Also Ramadan in Egypt. What’s your favourite historical/cultural sight in Cairo? Passainte: for me, it’s Islamic Cairo; it has cafes that are thousands of years old, beautiful architecture, it’s full of life and the energy there is just amazing. Best is the Folkloric dancing & singing Tanoura show—whirling dervishes—happening there at Wekalet El-Ghoury near the Khan Al Khalili market three times a week, and all the cafes were Oud is played or bands perform. The food also is authentic. My favourite way to visit the pyramids is to ‘rent’ a camel, and take the long way around the park out into the desert, then approach the pyramids on the return trip in, from the back entrance. This way I can even momentarily lose the sight of the city behind the dunes, and pretend I’ve been transported back in time. Plus I just really like camels. What does your perfect day in Cairo look like? We are in agreement; it must be a Friday, early in the morning, as it’s the only day of the week where there is no traffic. (The weekend here is Friday and Saturday). Then it highly depends on the mood. If we want to rough it we’d go for a walk, grab some coffee to go, take the metro or a cab and head to Islamic Cairo, Old Cairo, or the Pyramids. But if we want to chill out, we will meet in a cozy café in Zamalek or Maadi, and probably take a walk afterwards. The coolest neighbourhood in Cairo is . . .
too, yet it’s more intense compared to Zamalek. Christina: No, it’s not just your bias, I agree … and I don’t even live in Zamalek. I love the fact that it’s an island, so I can just wander around aimlessly, because even if I get ‘lost’ I know eventually I’ll hit the Nile and be able to reorient myself. Each time I let myself get lost and wander, I find some new little quirky shop, café, fresh street art, or hidden garden. Maadi, where I live, is also nice for being walkable and full of hidden gems, though it’s much bigger and VERY easy to get lost in (each one of its traffic circles looks pretty darn similar!) . . . but on the plus side, I think it’s slightly more affordable than Zamalek. The best things to eat in Cairo is . . .
Passainte: What most people don’t know is that our cuisine is very unique. Every time an Egyptian travels abroad the most precious gift you can offer is food. We love Molokheya, Koshary, Messa’aa (fried eggplants in tomato sauce and minced beef—though a vegetarian option is available—and dried raisins), Stuffed pigeons, fried eggplants, ful (fava beans), you got us hungry. Christina: Did someone say Messa’aa? I’ll take some! The best thing to drink in Cairo is . . .
Passainte: sugar cane juice, karkade juice (cold hibiscus), Kharoub (Carob), hummus el sham (boiled chickpeas in hot water with a pinch of lemon, salt, pepper, and hot chilli), and most of all black tea. Black tea is a special drink not only in Cairo but all over Egypt; there are tea traditions and different ways to be served or made. Christina: Sahlab or Hummus El Sham in the winter, Sobia in the summer, and whatever fresh juice is in season, all year round. If you’re trying to choose between Egypt’s very limited local beer listings (Stella or Sakkara), I tend to go with the Stella. Both are quite similar in taste, and neither one is especially good (both are very light and, well, a bit watery) … but the Stella usually comes in the bigger bottle. What’s the best time of year to visit Cairo? Springtime, around March–June. The weather is perfect, the desert flowers are in bloom, and there’s green and life throughout the city. July–September is HOT (upwards of 40°C or 100°F. . . every. . . single…. day.) Locals leave the city in droves and head to the coast (incidentally, these crazy-hot summer months are a great time of year to visit the Red Sea!). October–February is not bad, but things are just a bit greyer, darker, and dustier than in the lovely spring. The thing about Cairo I wish most tourists knew is . . .
days in Cairo can be unbearable to any tourist, with the sound of continuous honking & the 24/7 crazy traffic driving people insane, yet if you give it another chance it will get under your skin. Cairo has tons of things to do and enjoy. 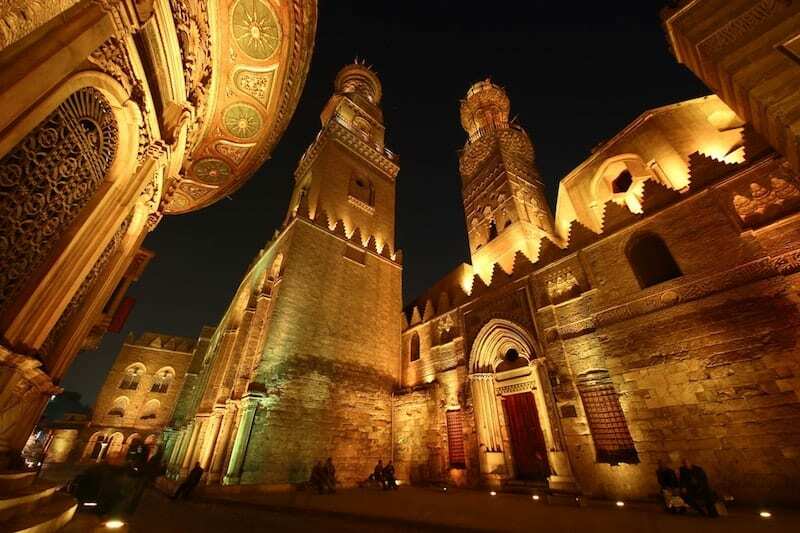 There is Islamic Cairo, Old Cairo, that has the Religious complex featuring the oldest mosque in Africa, a church believed to have sheltered the Holy Family, and a synagogue. You can ride boats on the Nile, hike out and barbeque in Wadi Degla, go to parties and clubs, shopping, dining, etc. Same goes for Egypt as a whole; people mistakenly think that Egypt has limited options. Most people don’t know that we have some of the best diving spots in the world, two-thirds of the world’s monuments, the Mediterranean and Red Sea coastlines, the River Nile, seven oases, the whole of Sinai peninsula, Roman ruins, the best places to learn diving & kite-surfing, 365 days of sunshine, and more! All of this, and the country is fairly cheap, so your vacation money will go far! Thanks to Passainte and Christina for sharing their side of Cairo—and all those food tips. You had me at ‘koshary’! I highly recommend checking out Why Not Egypt for more tips, itineraries, and camel photos. You can also follow along on Facebook, Twitter, and Instagram.